Sean M. Haffey/GettyBrandon Ingram has his work cut out for him. 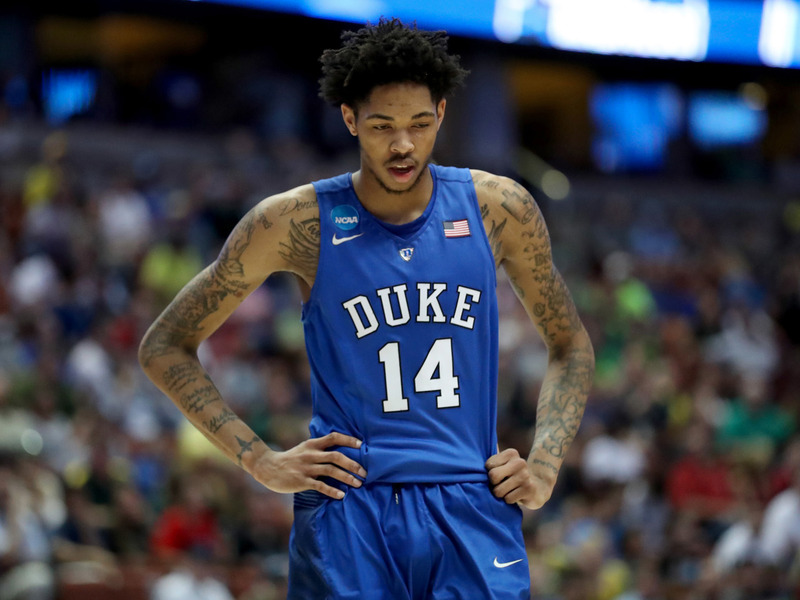 It takes only a brief glance at Duke forward Brandon Ingram to understand the biggest critique of the 18-year-old. The 6-foot-10, 196-pound draft prospect is the definition of gangly — long and thin, with lanky legs and arms that sway as he moves. Though Ingram looks locked into the No. 2 pick, which belongs to the Los Angeles Lakers, he is still trying to fight the idea that his size and weight are a problem as he prepares for the pros. However, Ingram is on a strict regimen to gain weight and strength heading into his rookie year. He told For The Win’s Charles Curtis that he’s eating six meals a day in an attempt to gain 20 pounds. “I’m just trying to eat healthy… a lot of protein and a lot of grains and just stay in the weight room,” Ingram told BI. 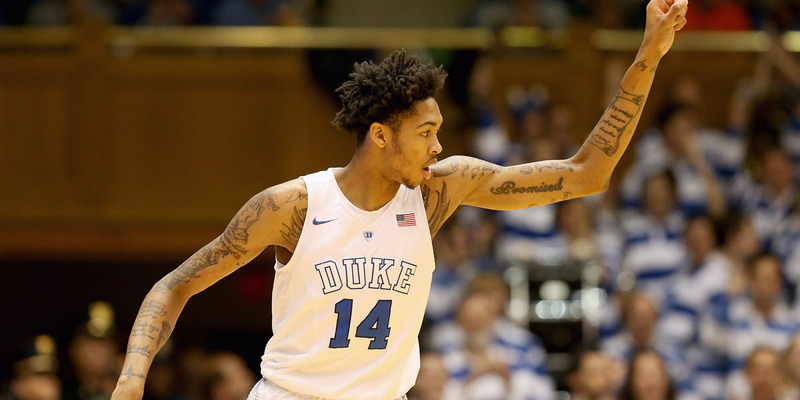 Ingram may be able to take comfort in the player he’s most often compared to: Kevin Durant. Durant entered the draft at 6-foot-10, 215 pounds, which is still a full 20 pounds heavier than Ingram. Durant was chided at the combine when he was unable to bench press one rep of 185 pounds, as scouts wondered how he’d fair against much stronger players. It obviously had no impact on his success in the NBA, as he won Rookie of the Year in 2008. Does being in the same shoes as Durant, a player Ingram said he admires, motivate him? “I don’t know if that motivates me,” Ingram said. After watching a 6-foot-8, 260-pound monster in LeBron James bully the Warriors for seven games en route to a championship, it’s hard to imagine Ingram or his frame lasting with the NBA’s elite. It’s going to be an uphill battle for Ingram, though he’s fortunate that it doesn’t seem to be affecting his draft status. He’ll have his work cut out for him as soon as he finishes shaking Adam Silver’s hand this Thursday.